University of Health and Sciences (UHS) conduct test for Public sector and Private sector medical colleges of Punjab which is known as Medical and Dental College admission test (MDCAT). UHS conduct MDCAT test for MBBS & BDS admissions. There are limited seats available in public and private sector medical colleges of Punjab and thousands of students appear in MDCAT test every year. UHS (MDCAT) test consists of Chemistry, Physics, Biology and English MCQ’s. To get admission in Public sector and private sector medical colleges of Punjab appearance in MDCAT test is mandatory. Only those students can get good marks in MDCAT test who clear concepts in details. This entry was posted in MDCAT and tagged Best way to prepare for UHS MCAT, Biology sample questions, Changes in UHS MCAT Syllabus, chemistry mdcat, download UHS MCAT Papers, download UHS MDCAT Papers, etea mcat, ETEA MCAT Past Paper, ETEA MCAT Past Papers, How many MCQs in Sindh MCAT, How to Prepare for Punjab MCAT, How to Prepare for Punjab MDCAT, How to Prepare for Sindh MCAT, How to Prepare for UHS MCAT?, how to prepare mcat, how to prepare mdcat, How to prepare Punjab Mcat UHS, How to prepare PUNJAB UHS Mcat, Important Biology Topics Punjab MCAT, Important Biology Topics Punjab MDCAT, Important Chemistry Topics Punjab MCAT, Important Chemistry Topics Punjab MDCAT, Important Chemistry Topics UHS MCAT, Important English Topics Punjab MCAT, Important English Topics Punjab MDCAT, important mcat topics, important mdcat topics, Important Physics Topics Punjab MCAT, Important Physics Topics Punjab MDCAT, Important Punjab Mcat topics, MCAT, MCAT 2018, MCAT answer key, MCAT answer key 2018 MCAT, MCAT answer key Blue booklet 2018, MCAT English syllabus, MCAT English syllabus 2017, MCAT English syllabus 2018, MCAT test, MDCAT, MDCAT 2018, MDCAT answer Key, MDCAT answer Keys 2018, MDCAT Biology, MDCAT Biology explained MCQs, MDCAT Biology MCQs, MDCAT Chemistry, MDCAT Chemistry explained MCQs, MDCAT Chemistry MCQs, MDCAT English explained MCQs, MDCAT English MCQs, MDCAT English syllabus, MDCAT entry test, MDCAT explained MCQs, mdcat format, MDCAT Merit list, MDCAT Merit list 2018, MDCAT online MCQS, MDCAT Physics explained MCQs, MDCAT registration date 2018, MDCAT Sample Biology Questions, MDCAT test answer Key 2018, MDCAT test answer Keys white booklet 2017, New Physics Syllabus for UHS MCAT, New UHS MCAT Syllabus, Past Papers UHS MDCAT, Punjab MCAT Chemistry MCQs, Punjab MDCAT Biology MCQs, Punjab MDCAT Chemistry MCQs, Punjab MDCAT English MCQs, Punjab MDCAT Physics MCQs, Sindh MCAT Online Preparation, UHS MCAT 2017, UHS MCAT Aggregate Score, UHS MCAT Chemistry MCQs, UHS MCAT English MCQs, UHS MCAT Past Papers, UHS MCAT result, UHS MCAT syllabus 2018, UHS MDCAT 2018, UHS MDCAT Aggregate Score, UHS MDCAT Biology MCQs, UHS MDCAT Dates, UHS MDCAT English MCQs, UHS MDCAT Entrance Test, UHS Punjab MCAT Syllabus, UHS Punjab MCAT Syllabus 2018 on December 7, 2018 by Pakprep.com Admin. Here is the first merit list of Punjab MCAT (Reciprocal seats) for 2018-19 session. UHS announced MBBS and BDS merit list for reciprocal seats. There are 14 seats for Punjab students having Punjab domicile in other medical colleges of Pakistan. 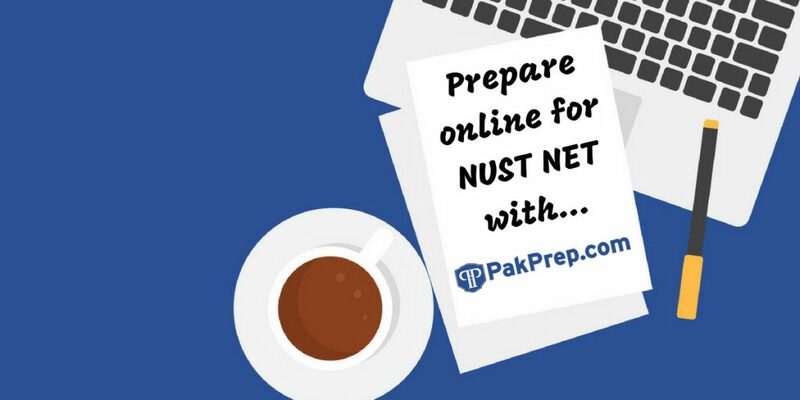 You can start your preparation of Punjab MDCAT from www.pakprep.com. In 2017 more than 35 students secured their admission in public sector medical colleges of Punjab. Candidates were selected in King Edward Medical College, AIMC, RMC and Nishtar medical college by preparing through pakprep.com. Register today for free and try our professionally developed online system. 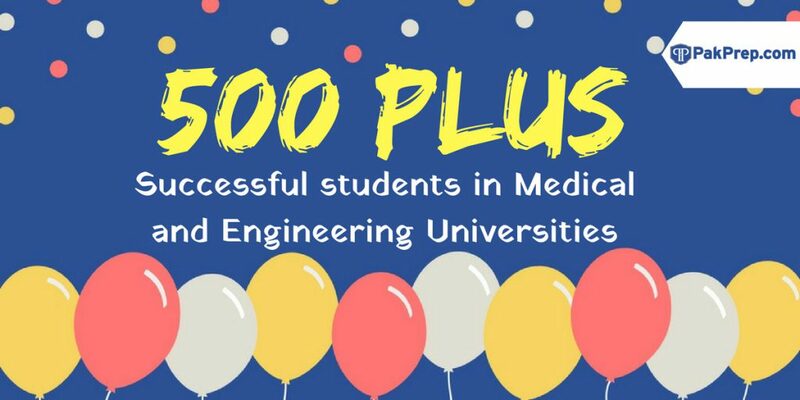 We have 15000 solved quality MCQ’s along with explanation, sample papers, past papers and smart analytics. Here is the 1st reciprocal merit list of Punjab MDCAT. This entry was posted in MDCAT, Punjab UHS MCAT and tagged Best way to prepare for UHS MCAT, Changes in UHS MCAT Syllabus, chemistry mcat, download UHS MCAT Papers, first merit list, first merit list 2018, Important Biology Topics Punjab MCAT, Important Chemistry Topics Punjab MCAT, Important English Topics Punjab MCAT, Important Physics Topics Punjab MCAT, MCAT, MCAT Merit list, MCAT registration, mcat result, PUNJAB MCAT Score, reciprocal seat merit list, reciprocal seat merit list 2018, UHS first merit list, UHS MCAT 2013, UHS MCAT 2014, UHS MCAT 2015, UHS MCAT 2016, UHS MCAT 2017, UHS MCAT 2018, UHS MCAT Aggregate Score, UHS MCAT Biology MCQs, UHS MCAT Chemistry MCQs, UHS MCAT Dates, UHS MCAT Documents, UHS MCAT English MCQs, UHS MCAT Entrance Test, UHS MCAT MCQs, UHS mcat merit list, UHS MCAT Online MCQs, UHS Punjab MCAT Syllabus 2018, UHS reciprocal seat merit list on November 13, 2018 by Pakprep.com Admin. This entry was posted in MDCAT and tagged AJ&K Chemistry MCQs with answer, AMC Chemistry MCQs with answer, chemistry mdcat, chemistry solved MCQS, download UHS MDCAT Papers, ETC sample papers, HEC Physics MCQ's, How to Prepare for Punjab MDCAT, MCAT ANSWER 2018-19 SESSION, MCAT answer keys, MCAT ANSWERS, MDCAT, MDCAT answer Keys, MDCAT answer Keys 2018, MDCAT solved MCQs, NTS Physics MCQ's, NTS Physics MCQ's Preparation on September 24, 2018 by Pakprep.com Admin. This entry was posted in MDCAT and tagged Best way to prepare for UHS MCAT, chemistry mdcat, download UHS MDCAT Papers, How to Prepare for Punjab MCAT, How to Prepare for Punjab MDCAT, how to prepare mdcat, Important Biology Topics Punjab MDCAT, Important Chemistry Topics Punjab MDCAT, Important English Topics Punjab MDCAT, important mdcat topics, Important Physics Topics Punjab MDCAT, mbbs, MBBS 2017, MBBS 2018, MBBS admission, MBBS in Pakistan, MCAT, MCAT 2018, MCAT entry test, mcat format, mcat mcqs, MCAT Syllabus, MDCAT, MDCAT 2017, MDCAT 2018, MDCAT Biology, MDCAT Biology explained MCQs, MDCAT Biology MCQs, MDCAT entry test, MDCAT explained MCQs, mdcat format, mdcat mcqs, MDCAT Merit list, MDCAT Merit list 2017, MDCAT Merit list 2018, MDCAT New Syllabus, MDCAT online MCQS, MDCAT registration, mdcat result, mdcat score, MDCAT solved MCQs, MDCAT solved papers, MDCAT syllabus, MDCAT syllabus 2017, Past Papers UHS MDCAT, Punjab MCAT Biology MCQs, Punjab Mcat format, PUNJAB MCAT Score, Punjab MDCAT Biology MCQs, UHS MDCAT, UHS MDCAT 2017, UHS MDCAT 2018, UHS MDCAT Aggregate Score, UHS MDCAT Dates, UHS MDCAT Entrance Test on September 13, 2018 by Pakprep.com Admin. University of Health and Sciences (UHS) conduct test for Public sector and Private sector medical colleges of Punjab is known as Medical and Dental College admission test (MDCAT). UHS conduct MDCAT test for MBBS & BDS admissions for almost 3400 seats available in Public sector medical colleges of Punjab. MDCAT test is very competitive more than 50000 students try their luck by taking MDCAT test but few of them succeed. MDCAT test is very difficult and students need to clear concepts in detail in order to get good marks in UHS test. UHS (MDCAT) test will consist of Chemistry, Physics, Biology and English MCQ’s. To get admission in Public sector and private sector medical colleges of Punjab appearance in MDCAT test is mandatory. MDCAT test also have negative marking, every correct answer will add 5 marks in total and each wrong answer will deduct -1 marks from total. This entry was posted in MDCAT and tagged BDS, BDS Admissions, bds merit list, BDS test, Best way to prepare for UHS MCAT, Changes in UHS MCAT Syllabus, chemistry mdcat, Dental Entry Test UHS, download UHS MCAT Papers, download UHS MDCAT Papers, Download UHS Past Papers, How to Prepare for Punjab MDCAT, How to Prepare for UHS MCAT?, how to prepare mdcat, Important Chemistry Topics Punjab MDCAT, Important Chemistry Topics UHS MCAT, important mdcat topics, mbbs, MBBS 2016, MBBS 2017, MBBS admission, MBBS admission 2017, MBBS Admission Test, MBBS in Pakistan, mbbs merit list, MDCAT, MDCAT 2017, MDCAT 2018, MDCAT Chemistry, MDCAT Chemistry explained MCQs, MDCAT Chemistry MCQs, MDCAT entry test, MDCAT explained MCQs, mdcat mcqs, MDCAT Merit list, MDCAT Merit list 2017, MDCAT Merit list 2018, MDCAT New Syllabus, MDCAT online MCQS, mdcat result, MDCAT solved MCQs, MDCAT solved papers, New UHS MCAT Syllabus, Past Papers UHS MCAT, Past Papers UHS MDCAT, Preparation of Document for UHS MCAT, Punjab MDCAT Biology MCQs, Punjab MDCAT Chemistry MCQs, solved UHS MCAT MCQs, Solved UHS MCAT past papers, UHS, UHS Admissions, UHS Chemistry MCQs, UHS Chemistry New Syllabus, UHS Chemistry Syllabus, UHS Entry Test, UHS Fee, UHS MCAT, UHS MCAT 2013, UHS MCAT 2014, UHS MCAT 2015, UHS MCAT 2016, UHS MCAT 2017, UHS MCAT 2018, UHS MCAT Aggregate Score, UHS MCAT Chemistry MCQs, UHS MCAT Dates, UHS MCAT Documents, UHS MCAT Online MCQs, UHS MCAT Online Preparation, UHS MCAT Past Papers, UHS MCAT Preparation, UHS MCAT result, UHS MCAT Syllabus, UHS MCAT syllabus 2018, UHS MCQs, UHS MDCAT, UHS MDCAT 2017, UHS MDCAT 2018, UHS MDCAT Aggregate Score, UHS MDCAT Dates, UHS MDCAT Entrance Test, UHS Past Papers, UHS result 2017, UHS Solved MCQs, UHS Solved Papers, UHS Syllabus on September 10, 2018 by Pakprep.com Admin. The public sector Medical colleges in Punjab require all candidates to appear in an admission test commonly known as the Medical & Dental Colleges Admission Test (MDCAT). The Punjab MDCAT has MCQs from four subjects i.e Physics, Chemistry, Biology and English. The MCAT score counts significantly towards the admission as each student’s total score is prepared with a 50% weightage to the test score and 50% to the FSc result. This entry was posted in MDCAT, UHS MCAT and tagged chemistry mdcat, download UHS MDCAT Papers, How to Prepare for Punjab MDCAT, how to prepare mdcat, Important Biology Topics Punjab MDCAT, Important Chemistry Topics Punjab MDCAT, Important Physics Topics Punjab MDCAT, MDCAT, MDCAT Biology MCQs, MDCAT English explained MCQs, MDCAT English MCQs, MDCAT English syllabus, mdcat format, MDCAT online MCQS, MDCAT Physics MCQs, MDCAT solved MCQs, Past Papers UHS MDCAT, Punjab MDCAT English MCQs, UHS MDCAT 2018, UHS MDCAT English MCQs, UHS MDCAT Entrance Test on August 20, 2018 by Pakprep.com Admin. This entry was posted in MDCAT, UHS MCAT and tagged chemistry mdcat, download UHS MDCAT Papers, How to Prepare for Punjab MDCAT, how to prepare mdcat, Important Biology Topics Punjab MDCAT, Important Chemistry Topics Punjab MDCAT, Important Physics Topics Punjab MDCAT, MDCAT, MDCAT English explained MCQs, MDCAT English MCQs, MDCAT English syllabus, mdcat format, MDCAT online MCQS, Past Papers UHS MDCAT, Punjab MDCAT English MCQs, UHS MDCAT 2018, UHS MDCAT English MCQs, UHS MDCAT Entrance Test on June 12, 2018 by Pakprep.com Admin. This entry was posted in MDCAT, UHS MCAT and tagged Best way to prepare for UHS MCAT, Changes in UHS MCAT Syllabus, chemistry mcat, chemistry mdcat, download UHS MCAT Papers, download UHS MDCAT Papers, How many MCQs in Sindh MCAT, How to Prepare for Punjab MCAT, How to Prepare for Punjab MDCAT, how to prepare mcat, how to prepare mdcat, How to prepare Punjab Mcat UHS, How to prepare PUNJAB UHS Mcat, Important Biology Topics Punjab MCAT, Important Biology Topics Punjab MDCAT, Important Chemistry Topics Punjab MCAT, Important Chemistry Topics Punjab MDCAT, Important Chemistry Topics UHS MCAT, Important English Topics Punjab MCAT, Important English Topics Punjab MDCAT, important mdcat topics, Important Physics Topics Punjab MDCAT, Important Punjab Mcat topics, kpk mcat, MCAT English syllabus 2018, MDCAT, MDCAT 2018, MDCAT answer Key, MDCAT Biology, MDCAT Biology explained MCQs, MDCAT Chemistry, MDCAT Chemistry MCQs, MDCAT English explained MCQs, MDCAT English MCQs, MDCAT English syllabus, MDCAT solved MCQs, MDCAT syllabus, Past Papers UHS MDCAT, Punjab MDCAT Chemistry MCQs, Punjab MDCAT Physics MCQs, UHS MCAT 2018, UHS MCAT Biology MCQs, UHS MCAT Chemistry MCQs, UHS MCAT English MCQs, UHS MCAT Entrance Test, UHS MCAT MCQs, UHS MCAT Online MCQs, UHS MCAT Online Preparation, UHS MCAT Past Papers, UHS MCAT Preparation, UHS MCAT syllabus 2018, UHS MDCAT English MCQs, UHS Punjab MCAT Syllabus 2018 on February 24, 2018 by Pakprep.com Admin. This entry was posted in MDCAT, UHS MCAT and tagged Best way to prepare for UHS MCAT, How to prepare PUNJAB UHS Mcat, Important Chemistry Topics UHS MCAT, Past Papers UHS MCAT, Punjab Medical Admission UHS, Punjab UHS MCAT, Punjab UHS MCAT Syllabus, Solved UHS MCAT past papers, UHS, UHS Chemistry MCQs, UHS English Syllabus 2017, UHS MCAT Biology MCQs, UHS MCAT MCQs, UHS MCAT Online MCQs, UHS MCQs, UHS MDCAT Entrance Test, UHS Medical Admission, UHS Merit list 2017, UHS Physics MCQs, UHS Punjab MCAT Syllabus 2018, UHS Solved MCQs, UHS Syllabus, UHS test answer keys, UHS test answer keys 2017, UHS Test format on February 9, 2018 by Pakprep.com Admin.